How Does A Breitling Watch With A Tudor Movement Work? Tudor built its well-known brand by transforming Fluerier or ETA movements in the first few decades. Tudor started to collaborate with Breitling on movement swap in 2017. How Does A Breitling Watch With A Tudor Movement Work? 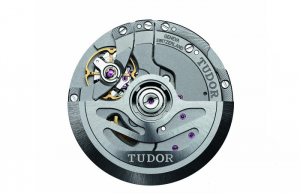 Here I’ll analyze that Tudor MT5612 self-winding movement is transformed into Bretling B20 movement. Tudor Heritage Black Bay Chrono watch is equipped with Breitling B01 chronograph movement, and Tudor also supplies Tudor MT5612 self-winding movement for Breitling Superocean Heritage diving watch. 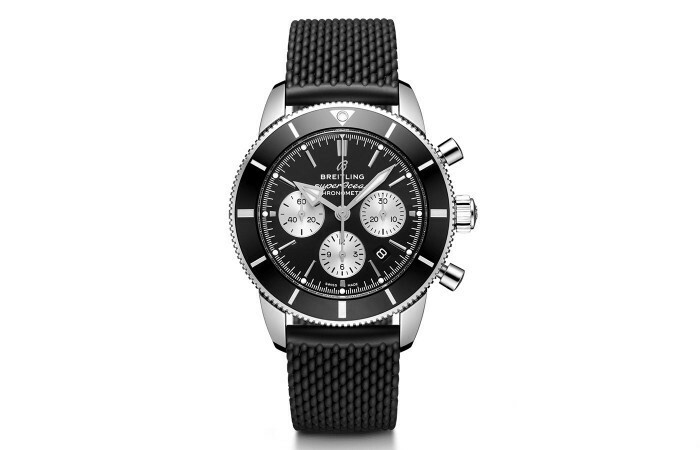 Maybe Breitling Navitimer Chronograph watch wins a high reputation all over the world, but in fact, Breitling Superocean diving watch also has a long history. 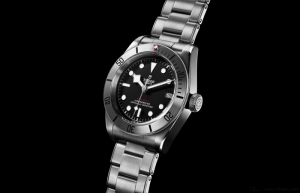 In addition to Rolex Submariner watch, Omega Seamaster 300 watch, Blancpain Fifty Fathoms watch, Breitling diving watch took the fourth place at one time. 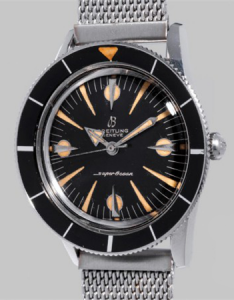 Breitling Superocean diving watch which was launched in 1957 had all characters of modern diving watches, such as the rotating bezel, high visibility with luminous markers and hands, strong water resistance and so on. 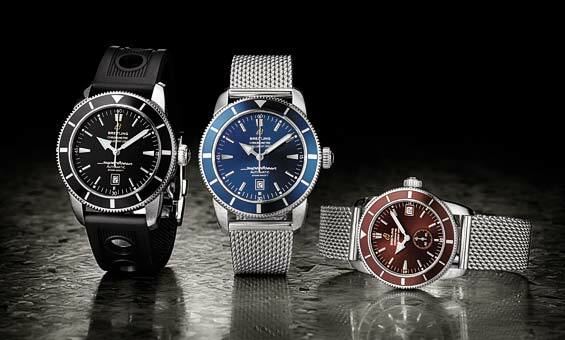 There is no denying that Breitling Superocean series has less influence on professional diving watch than three other watch brands, which won’t stop its own advantages in the watchmaking. We can collect a recognizable and durable Breitling diving watch at reasonable price at the exclusive store or on the second-hand market. Although Breitling diving watches were equipped with modified ETA movements totally, they were still accurate and certified by Swiss Official Chronometer Testing Institute. 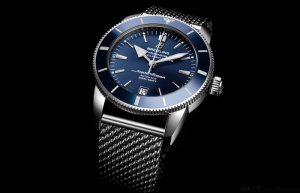 Comparing with self-made movements, Breitling Superocean watch was short of some technical features on movement equipment. the biggest shortcoming of ETA general movements is short power reserve for about 40 hours. Breitling changed Tudor MT5612 self-winding movement with B01 movement, helping Breitling solve movement problems completely. watch is more expensive than Tudor watch, so Breitling’s processing for MT5612 movement is different from the original model. Due to brand positioning, Tudor MT5612 movement has little decorative polishing, which won’t have any influence on accuracy because of the sealed watch back (except for North Flag). While Breitling polished traditional patterns on B20 movement, obviously B20 movement with Geneva patterns looks more gorgeous than the orininal model. It’s worth noting that B20 movement didn’t use silicon hairspring, so some people question that its anti-magnetic performance isn’t better. In fact, they didn’t make a big difference in the daily life since conventional Ниварокс alloy hairspring achieves certain anti-magnetic ability. With the seal back, it’s beneficial that Breitling used modified B20 movement. 70-hour power reserve enhanced Breitling diving watch. 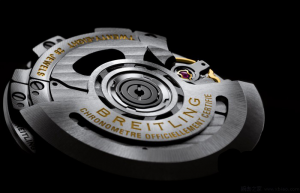 As usual, Breitling B20 movement was certified by Swiss Official Chronometer Testing Institute. Breitling Superocean watch includes two models-42 mm and 46 mm, available in blue, brown and black. Thanks to Milan watch bracelet, Breitling Superocean watch is comfortable to wear around the wrists. At present, diving watch is very popular. The advantage of Breitling Superocean watch with B20 movement is superior cost performance.